Hi, I have a simple process on jBPM6.2 with 2 user tasks: User1 uploads a file and User2 sees the file. 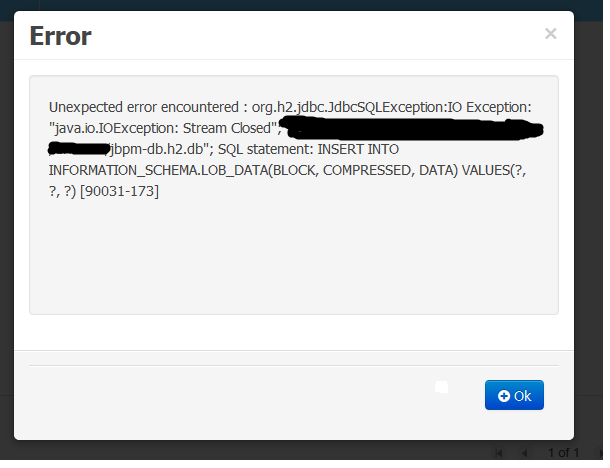 Other processes that don't involve uploading a file seem to persist correctly into h2 database. If you know how to attach a document into onto a user task and passing the document on as a variable within the process I would love to hear about it. Help would be appreciated, thanks in advance. 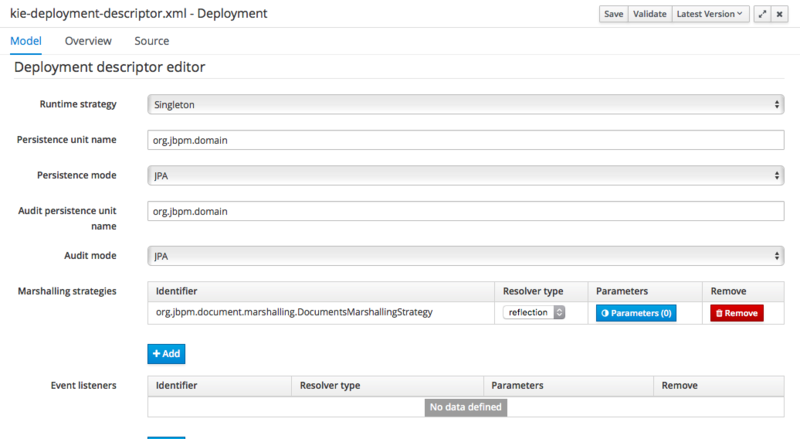 you need to use document marshaling strategy to avoid storing actual file in db which might be the issue here. See docs for details on how to configure it. What if I need to upload multiple documents? How can it be accomplished?. Thanks. either use many variables of document type or use recently added (7.6.0) Documents type that has also new marshaling strategy to deal with many documents. Hi Maciej. Thank you for your help. I've set up the new Documents Strategy in my deployment descriptor. 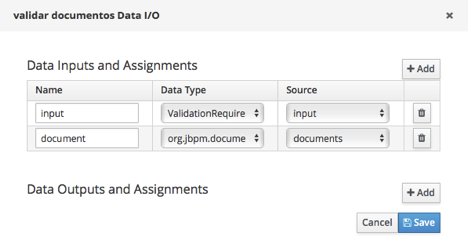 Also, I've created a process variable definition documents : org.jbpm.documents.Documents. Then, I've set up a human task with an input variable using de documents definition. 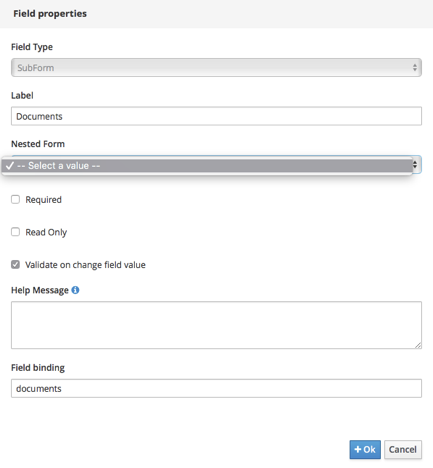 But when I try to create a Form using the input variable, I can't asign a nested form and then the form designer shows an error on this field. What I'm doing wrong or what I'm missing?.